Dragon Gong Fu Tea House is one of those places where if you don’t know about it, you would never stumble upon it. Sitting in Ashland’s “underground marketplace” the tea house opens its doors weekday mornings and weekend nights. When a guest walks into the tea house they’re welcomed and seated at the sole fifteen foot community table. 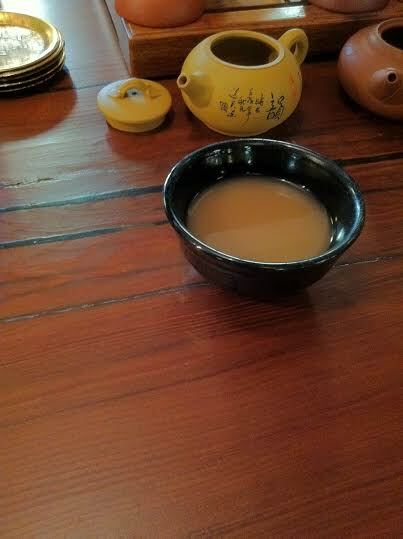 Dozens of tea pots, decorations, and rocks adorn the wooden table. Dragon Gong Fu Tea House’s menu consists of more than just teas- cocoa, kefir, jun, and kava are also available. While it is impossible for a western business to completely replicate the traditional tea and kava drinking cultures of the east, Dragon Gong Fu Tea House brings a social atmosphere not seen in many western businesses.